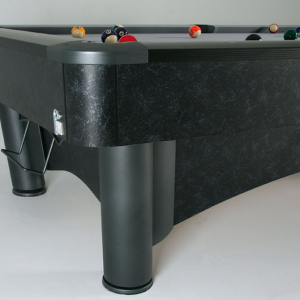 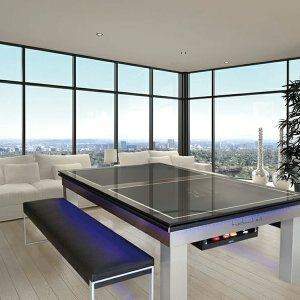 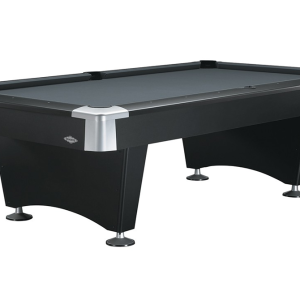 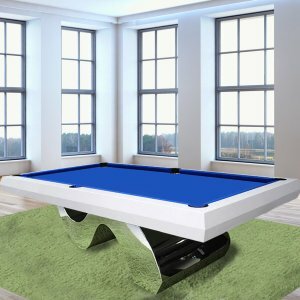 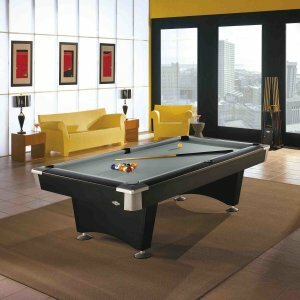 Categories: modern, Olhausen Pool Table, Pool&snooker. 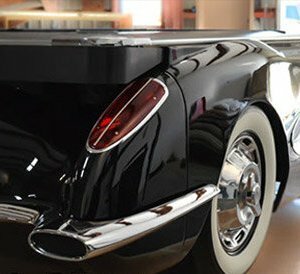 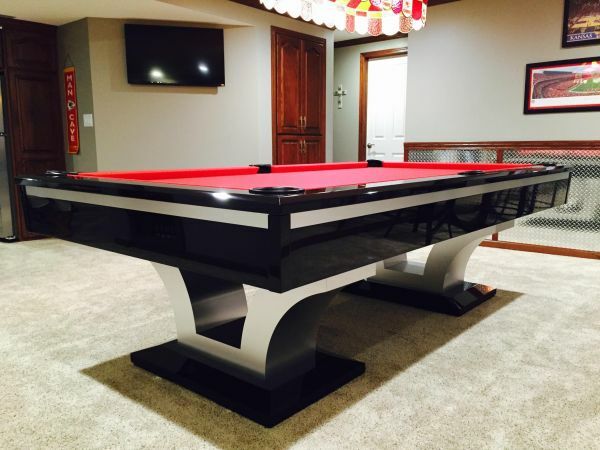 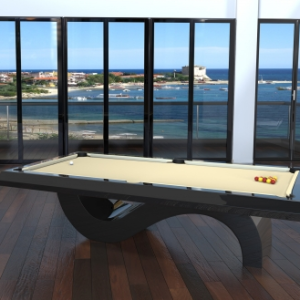 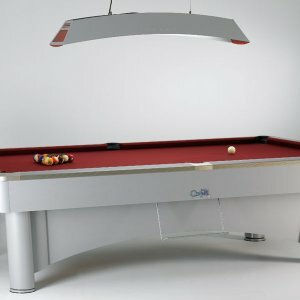 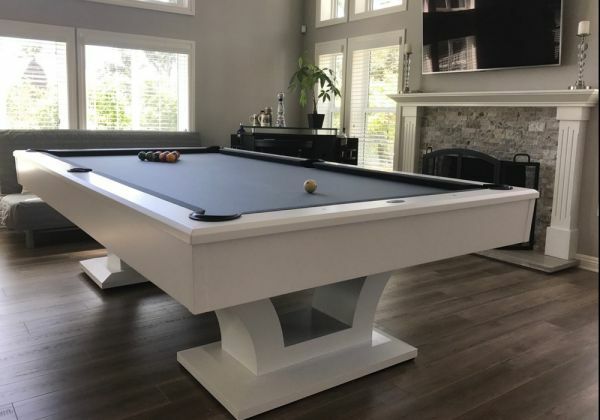 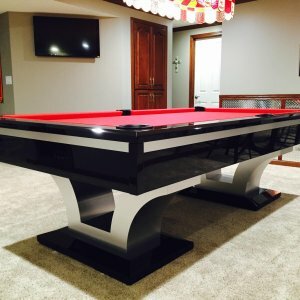 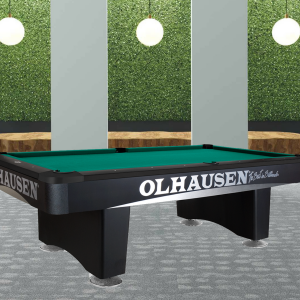 The Olhausen Luxor Pool Table is the Newest Made in the USA luxury modern pool table, design from America’s largest game room furnishing manufacturer. 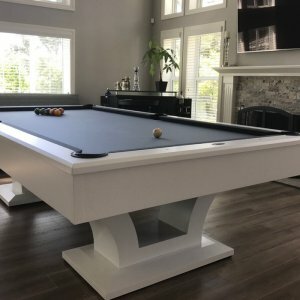 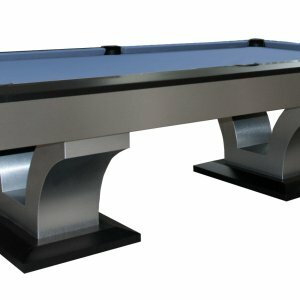 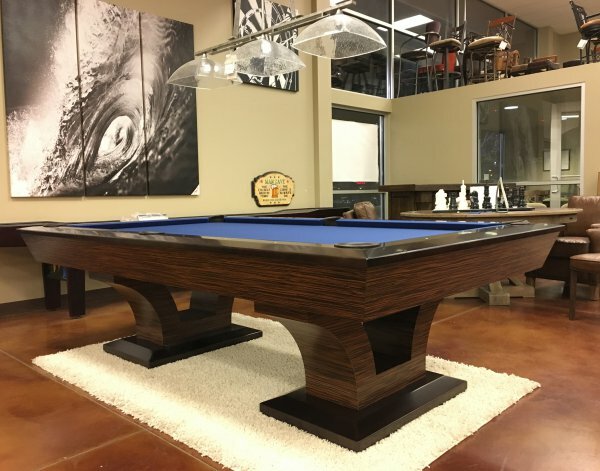 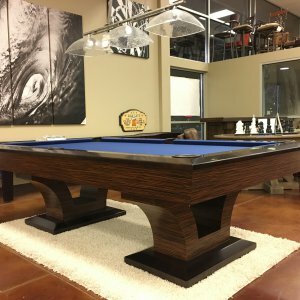 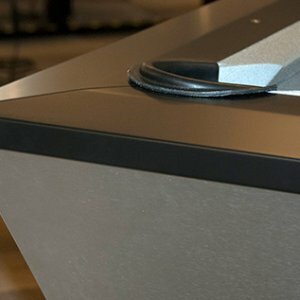 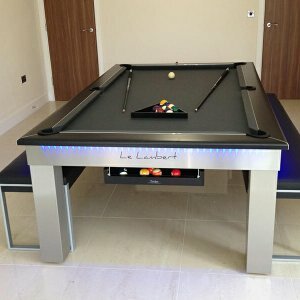 The Luxor Pool Table is hand built by master craftsmen, who have used solid American Maple wood and feature an ultra modern Matte Black Lacquer finish combined with brushed aluminum cladding. 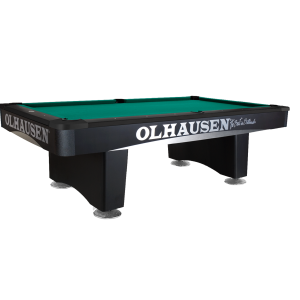 Premium features include Olhausen Accu-Fast lifetime guaranteed cushion rubbers, a 1″ three piece hardwood backed Brazilian slate playfield. 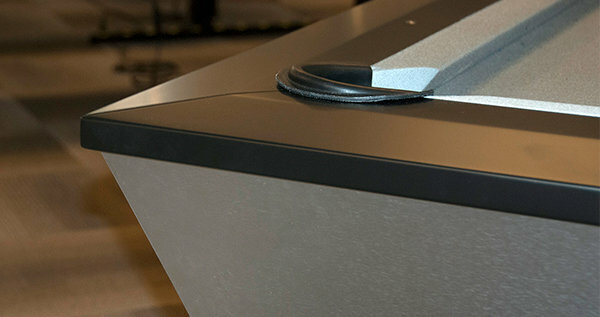 A built in accessory storage drawer that sits below the frame is also an available option.